This made a bit more sense now that I read the first ‘episode’ in the series. Again, I thought it was really interesting how this book was done. It really did feel like I was experiencing an episode of a television series or similar. Having the pictures of the characters at the beginning worked really well to give me an idea of what they looked like. I felt that the first scene of the book worked really well to draw me into the storyline. I did feel better able to relate to Ryan here. I didn’t really know enough about the other characters to be able to relate to them. Telling the story through flashbacks works in television, but I don’t think it works such as well in a book. It was interesting to learn about Ryan’s history with the other characters and after seeing his dream, I felt he had more depth to him than I’d seen at first. I knew a bit more about him from reading episode eleven, but even so, I found him easy to understand. It would have been nice to have this book a bit longer, but it was still a really entertaining read and a good introduction to the series. I do have book two ready to read on my Kindle and I’d be interested in reading the other episodes at some point in the future, too. Ideally, I’d give this book 3.5 stars. It was fairly easy to follow, despite being episode eleven in the series. The characters were really intriguing and I would have liked to see a bit more of their interactions with each other. I liked the use of the episode-style way of telling the story, but because it was so short, I felt like I’d only been given a glimpse into the world. The glimpses into Ryan’s past were interesting and I liked seeing more details about it. I was also intrigued by Ai’s character and whatever her relationship with the little girl was. The zombies aspect was quite an interesting one, too, and it was nice to see Ryan and Marie’s relationship, though I missed the development of it and couldn’t help feeling sorry for Kate. Despite not knowing how everyone came together, I still found this book to be quite an entertaining read. I’d be interested in reading the other episodes in this series at some point. Although I did feel it took a little while for this book to fully get into the story, I did think it was quite an entertaining read. I’ve seen books about the people of Tuatha de Danaan. I often find them to be quite intriguing and this book was no exception. I found the main character to be fairly likable, though I did have a few eye-rolling moments at the way she treated her friends. And Rachel didn’t really seem to have a purpose (or life) outside of man-stealing and being a jerk to Allison. It was interesting to see Allison’s mother and how she was affected. The pining for the Fair Folk isn’t something I see very often, so when it is mentioned, it’s always good to see it handled well – and I felt it was in this case. I liked Ethan as a character, but his romantic interest in Allison kind of came across as forced. I did like Nicole, too, but couldn’t figure out why she kept hanging around with Rachel. I liked the characters from Tuatha de Danaan, too, and I would have liked to see more of them. 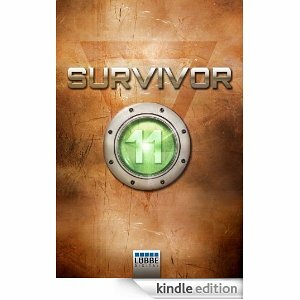 I felt the author did a good job of showing the differences between them and humans. It was nice to see that Allison didn’t follow the stereotypical over-powered heroine from young adult books. Although I felt there were a few moments she didn’t act as well as she could have, I could still believe in her as a character. The book was really well-written, with very few errors – if any – that I noticed. I would definitely be interested in reading the next book/s at some point in the future. Think all politicians are creeps, the rules are locked in against you and the world is forever in the grip of big politics and Bigger Oil? Think again. Attwood has. 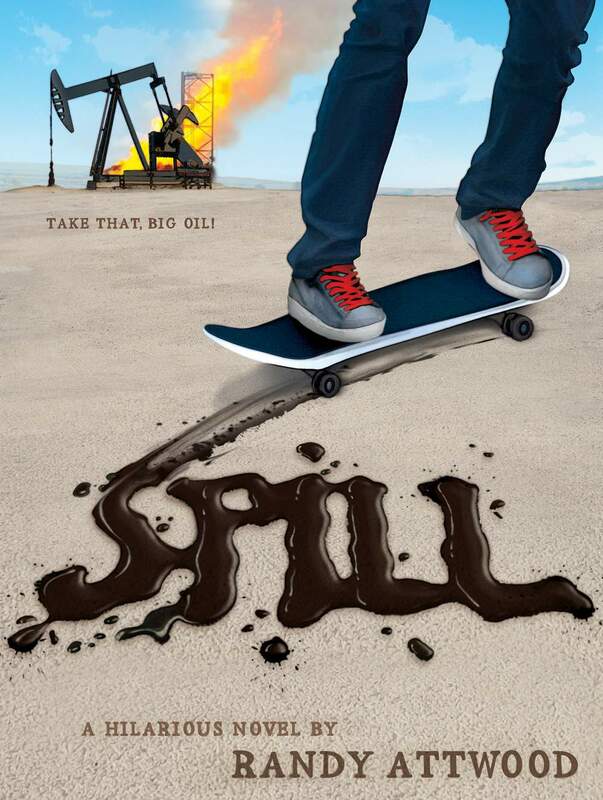 SPILL is a what-if adventure, starting with a couple of insurgent citizens who con the establishment and get rich along the way. In Attwood’s world, all the old clichés are real and the system is rigged from the start – until it’s un-rigged by good guys bad to the bone – the funny bone. From page one to the end, SPILL enlightens, amuses and instructs us that, one day, someone just might game the system – and get away with it. Attwood, brilliantly, shows us how. ­Randy Attwood grew up at Larned State Hospital where his father was its dentist. He has been a journalist, director of PR at an academic medical center, and retired as Media Officer at the Nelson-Atkins Museum of Art, Kansas City. His fiction touches many genres. 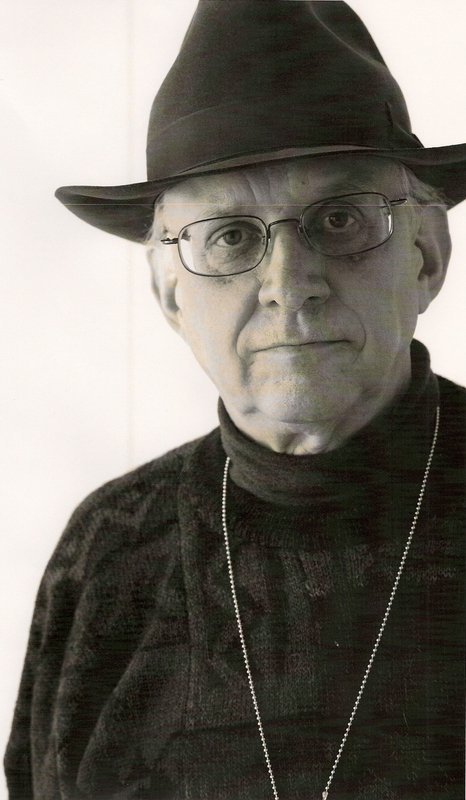 He has nine novels and two collections of shorter works published. Although this book was a fairly short one, I still quite enjoyed reading it. I liked the two characters in this book and I felt they were both really well-written. It was interesting to see Caroline cope with being blind. Although I noticed a couple of slip-ups where descriptions were given I didn’t think would work, I felt that the author did a mostly good job with portraying her and the difficulties she faced. The paranormal aspects worked really well in the book as well. I felt there was a good balance between the plot and romance. I would have liked to know a bit more about Griff. I couldn’t really know much about him as a character, so I didn’t really know what he was accused of or what Caroline’s feelings towards him really were. Rick was an interesting, well-rounded character as well. I really liked the progression of his relationship with Caroline. Despite the fact this was a novella, the romance moved at a realistic pace and I found it really well-written and an entertaining read. I would definitely be interested in reading Griff’s story in the future. It would be nice to know more about him as a character. 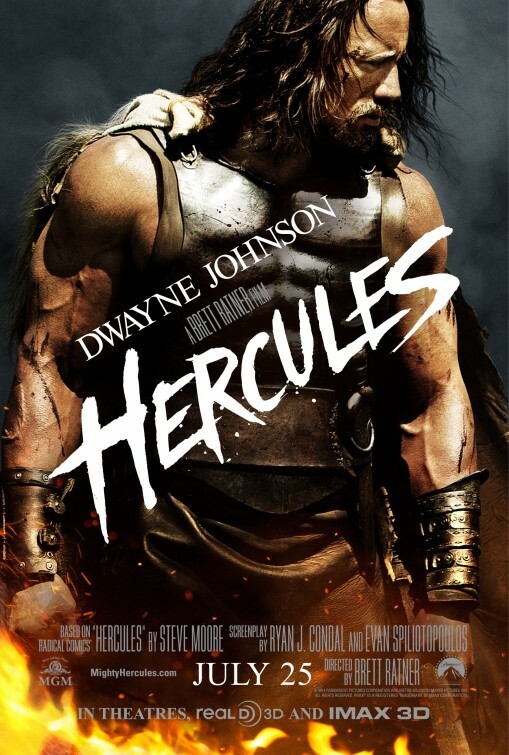 I’ve seen (and read) a lot of different versions of Hercules – or Heracles, as he’s originally known. This was a version I was particularly excited about seeing, but it was advertised a few months ago originally, so I assumed it wasn’t showing at my cinema… only to then have advertising start up again. I felt this was an interesting twist on the story of Hercules. It was a film that kept me riveted throughout and there were quite a few good, big-name actors that I remember seeing in various other things. It was good to see the friendship Hercules had with the rest of his little band of mercenaries. I particularly liked his nephew, though it wasn’t made clear exactly how Hercules had a nephew. The training scenes were quite good in the film and there were some moments of banter that made me laugh. The main characters were believable and although quite a lot was changed from the original legend, I felt that it stayed true where it counted. If you like the mythological fandom, I would definitely recommend this film as one to check out. Having read the second book in this series, I jumped at the chance to read the third book when the author offered it to me in exchange for a review. Although it’s been a little while since I last visited this world, I only had a short time of confusion before I settled back into the world and its characters. The idea of the Solsti is quite an interesting one. The women in this series aren’t overpowered heroines and I think their powers had realistic limitations to them. Although Gin was clearly reluctant to use her powers, I felt that reluctance made sense. The glimpses of her past made her come across as more of a well-rounded character. I really liked the relationship between Gin and Matthias. It was nice to see an almost playful side to their interactions, as well as the conflict that helped add another dimension to their relationship. It’s far less interesting to see a perfect relationship. It was nice to see the characters from the previous book, too, especially Brooke and Kai. I liked seeing their relationship. It was also nice to see other characters I hadn’t seen before. I found this book really well-written and easy to read. I kept avidly reading to find out what would happen next and I really cared about the characters and what happened to them. I will definitely read book four when it comes out and at some point in the future, I do want to read book one. 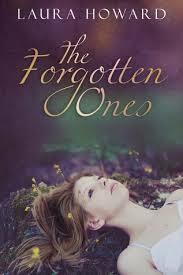 Eighteen-year-old Ashlyn is one interview away from her future when she first sees the demons. 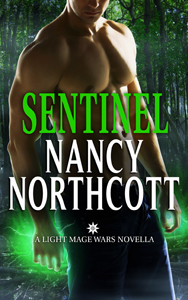 She thinks she’s losing her mind, but the truth is far more frightening: she can see into the Darkworld, the home of spirits – and the darkness is staring back. Emma Adams spent her childhood creating imaginary worlds to compensate for a disappointingly average reality, so it was probably inevitable that she ended up writing fantasy and paranormal for young adults. She was born in Birmingham, UK, which she fled at the first opportunity to study English Literature at Lancaster University. In her three years at Lancaster, she hiked up mountains, skydived in Australia, and endured a traumatic episode involving a swarm of bees in the Costa Rican jungle. She also wrote various novels and short stories. These included her first publication, a rather bleak dystopian piece, and a disturbing story about a homicidal duck (which she hopes will never see the light of day). Now a reluctant graduate, she can usually be found in front of her writing desk, creating weird and wonderful alternative worlds. Her debut novel The Puppet Spell, published in January 2013 by Rowanvale Books, is a fantasy tale for young adults and the young at heart, featuring disappearing uncles, invisibility potions and chimeras. 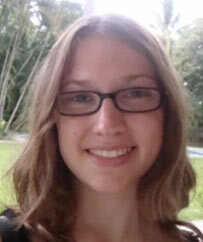 Emma also writes dark and creepy supernatural novels for older teens and adults. 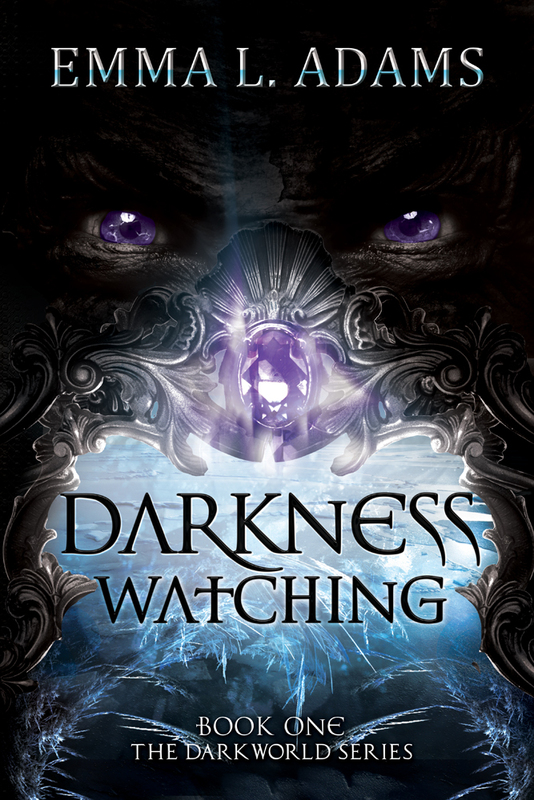 Her next book, Darkness Watching, is the first in the upper-YA/New Adult Darkworld series, and was published in October 2013 by Curiosity Quills Press. This is one of the films I can’t actually remember the first time I saw it, though I suspect it was originally on television and then I liked it so much that I ordered it on DVD… only to then watch it on television again today. This was a film that really appealed to me. I like the idea of someone accused of a crime he (or she) didn’t commit and having to figure out how to prove their innocence. I’ve said before that Samuel Jackson is a good actor, although I think he talks in a very similar manner in each character he plays. There were some small amounts of humour in this film that I felt really worked to break up the tension. I also felt that the two main actors played well off each other. Both of them were passionate, though in very different ways. And the film succeeded in surprising me during more than one scene. I’m sure parts of this film aren’t very realistic, but I still feel it’s a really entertaining one to watch. There are a few moments of gore in it, but nothing that I felt was really major. I also thought that the supporting actors played their characters well. If this is the kind of genre of film you like, I would recommend giving it a try. 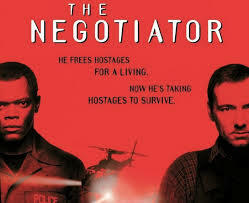 In the action/adventure/thriller genre, this has always been and remains one of my favourites. I saw the prequel to this film at the cinema as well, but I have to say, I felt this film was better than the first one. The idea of all crime being legal for twelve hours is a really scary one that I could actually see people getting on board with in reality. I think there would be a whole lot of different attitudes towards the idea of the Purge – and I felt this film did a good job of showcasing some of the attitudes of the different characters. The problem with dystopian fiction like this is that it’s rarely shown just why society had got to this point. In a way, I think it would benefit from an almost ‘prologue’, to show something of the collapse of normal society – or even the beginnings of propaganda, that would indicate a slow, subtle evolution to the idea of the Purge. The first film took place mainly in one family’s house, whereas this sequel opened up to show more of a wider area affected by the Purge. One of the scariest things about this film, I felt, was one of the psychological aspects of it: the masks that some of the characters wore. Not being able to see the face of an attacker is, I feel, one of the scariest things about this film. I felt that the actors did a particularly good job in making the characters they played sympathetic. Some of the banter made me smile, while there were other scenes that affected me emotionally. There were one or two scenes where the characters didn’t act very intelligently, but in a way, I feel that’s understandable. Logic doesn’t always play a part when you’re fleeing for your life. I also felt that camera angles were used to good effect in this film, along with lighting. There were some scenes that were cut at, I felt, the right moments to add to the tension. Obviously, not everyone would like this kind of film, but I felt it was interesting to see the different types of attitudes people had towards the Purge and their place in the society. I believed in the characters and cared about them. 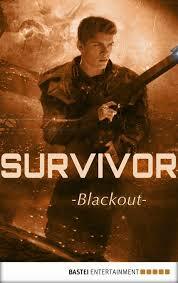 I found myself fully immersed in the film, despite the issues I mentioned earlier.